My last recipe post was an Indian chicken dish made with Kashmiri chilies. 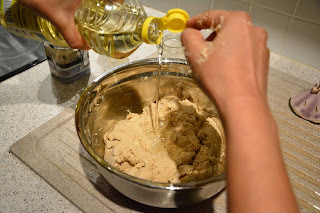 It was a flavorsome but mildly spicy dish and I must quickly give out the recipe for the bread which I believe is an ideal accompaniment for such a dish. 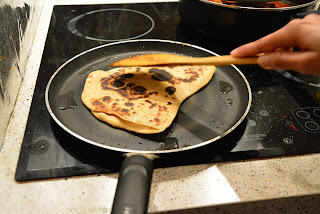 If you see a layered flatbread made with flour and fried in oil in Indian cuisine you can safely call it Paratha (for North Indians) or Parotta (for South Indians). My origin is from Bengal and in our Bengali homes, we also have our own version of layered flatbread and we generally call it the Teenkona parotta (teenkona means triangle). 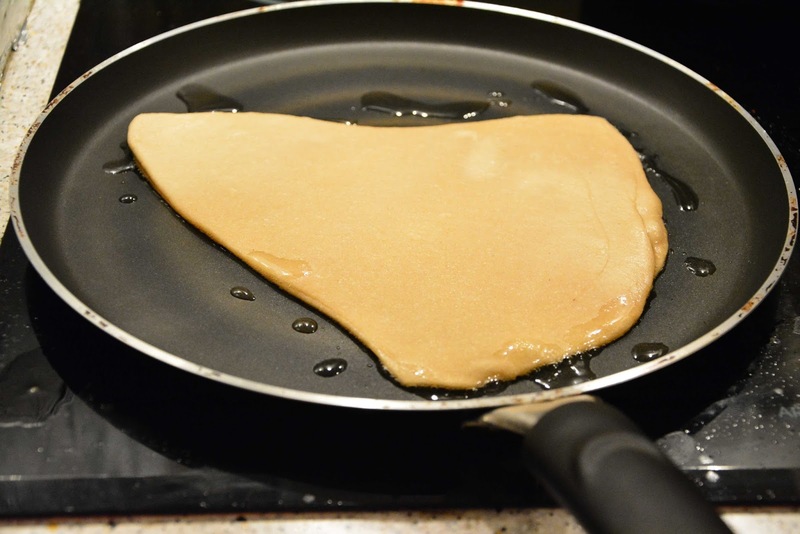 Traditionally it is made with whole wheat flour which in Bengali is called the Atta. This kind of triangular layered flatbread is easy to make, with minimal hassles compared to other layered parathas (check my previous posts for others), but is soft yet slightly crispy and goes well it all types of Indian vegetarian or meat dishes. 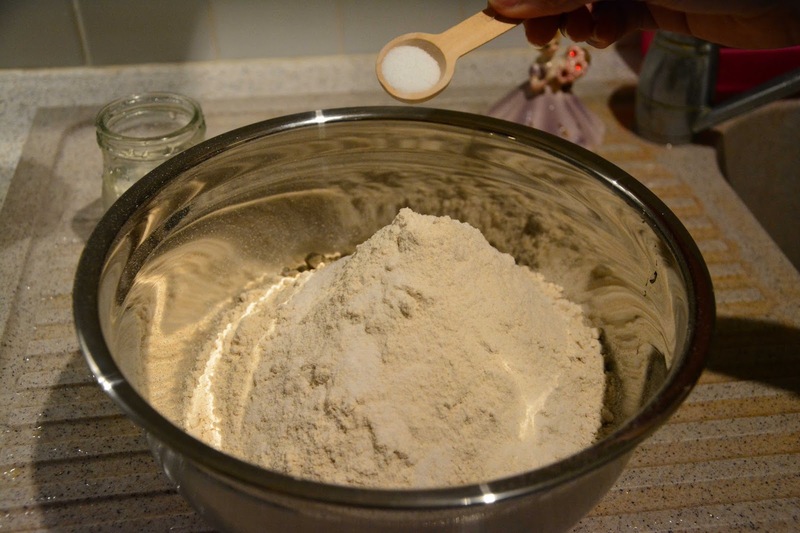 Take the flour in a deep bottomed bowl. Add the salt to it and mix well. 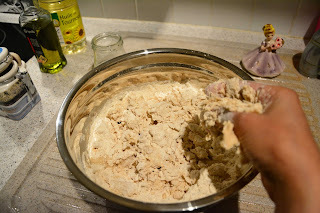 Now make a well in the middle and add 1 cup of water. Now start mixing the flour with water. Add more water, little by little and start kneading the dough. 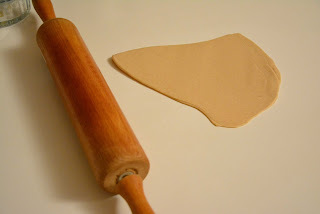 When the dough looks homogenous (like in the picture) it needs no more water. 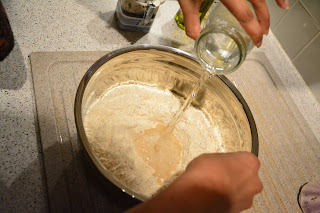 Now add 3 teaspoons of oil. Knead the dough nicely. This step is important, because the better the dough is kneaded, the softer will be the flatbreads. 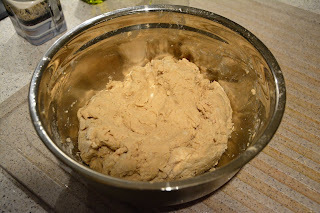 Now rest the dough for 45 minutes. This will help the gluten in the flour form long protein chains and bind the dough nicely. 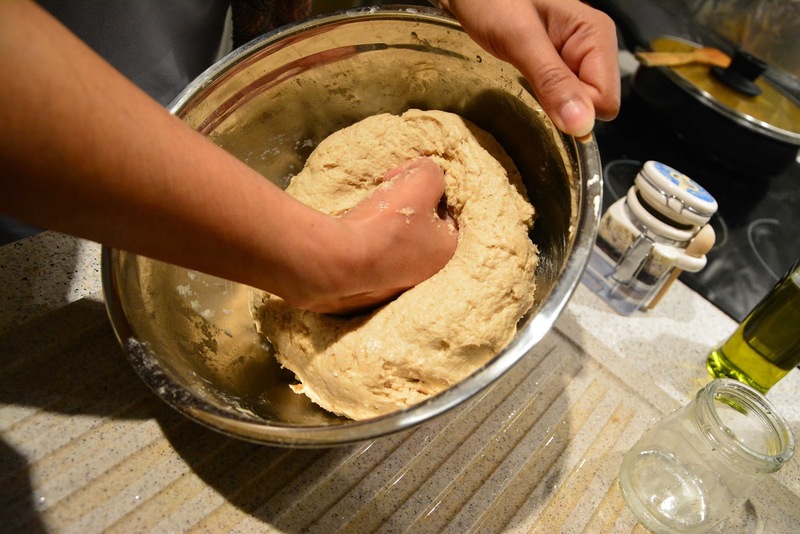 Knead the dough again nicely. 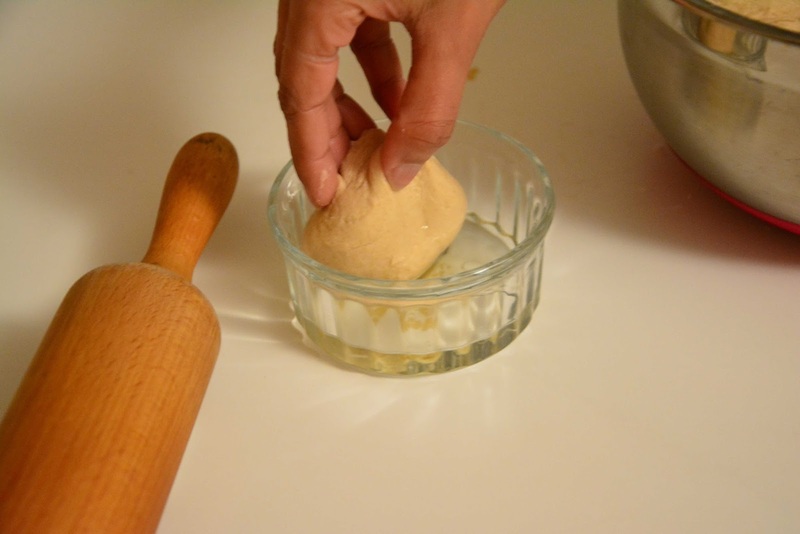 Divide the dough into two tubular parts. Then divide each tubular part into small balls. 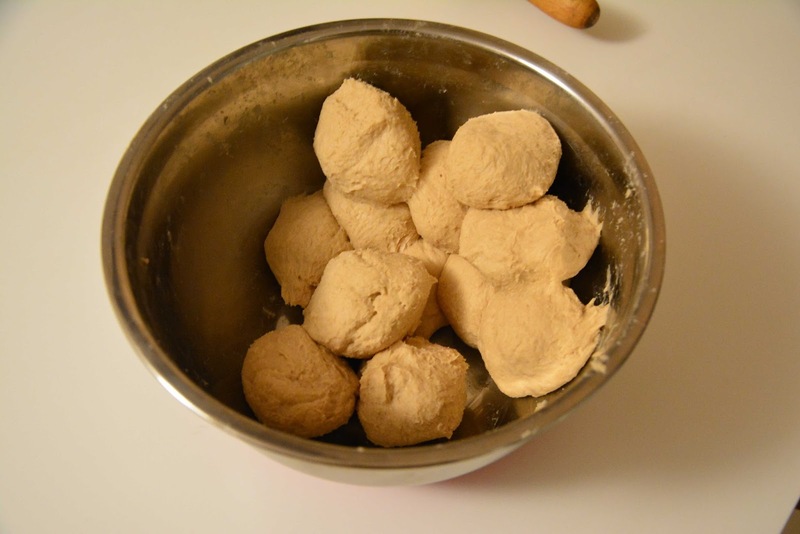 There should be approximately 11 balls (for 11 parottas) from the amount of ingredients specified. Coat each ball nicely with oil. 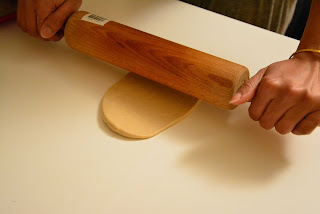 Roll it in a circular shape with the help of a rolling pin. Fold it in half like the picture below. Then fold it again into half. 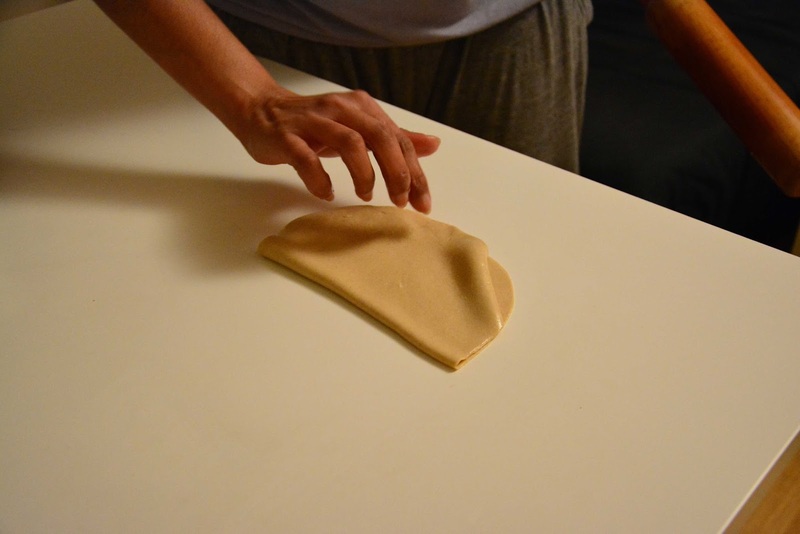 Lightly roll the layered triangular piece into a larger triangle. 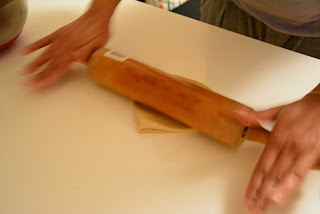 The final rolled out dough looks like this. Then place it in a hot non-stick pan and dry roast it for 1 minute. Then sprinkle it with 1 teaspoon of oil from all the sides. As the color changes to yellow ochre change the side. 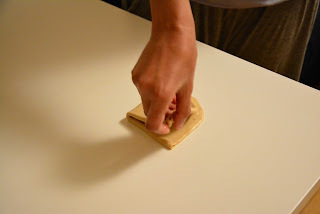 Turn the sides again and keep for 30 seconds. You will see some portions rising in the center. 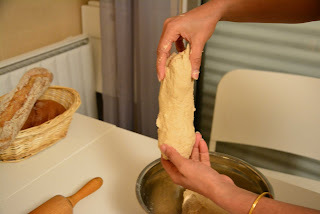 This means the layers are separating and the parotta is done. 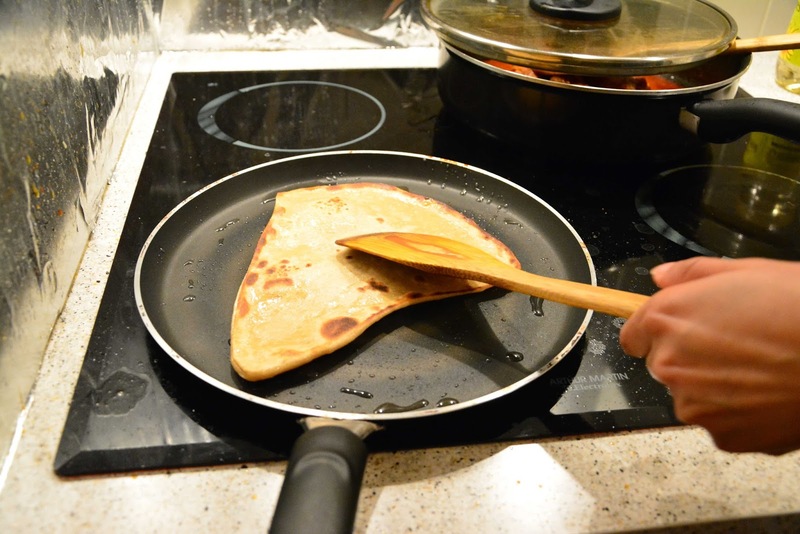 A Bengali triangular layered flatbread which is easy to make and is soft yet slightly crispy and goes well it all types of Indian vegetarian or meat dishes. 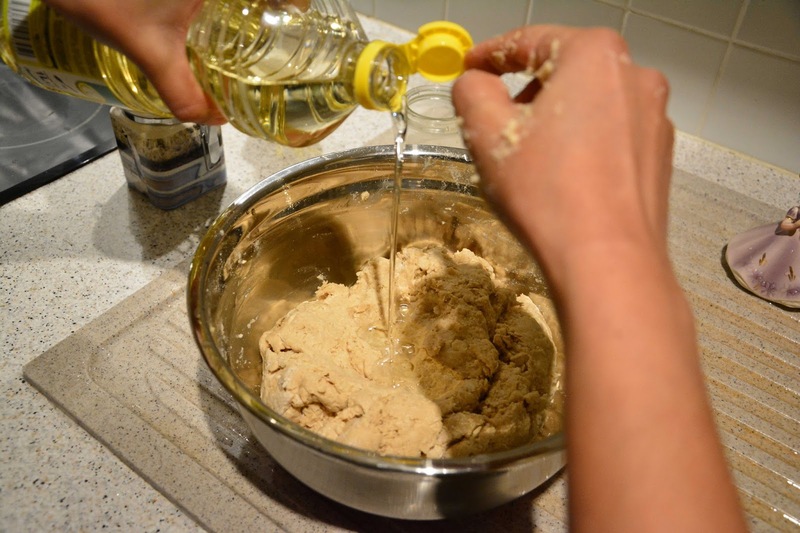 Add 3 teaspoons of oil. 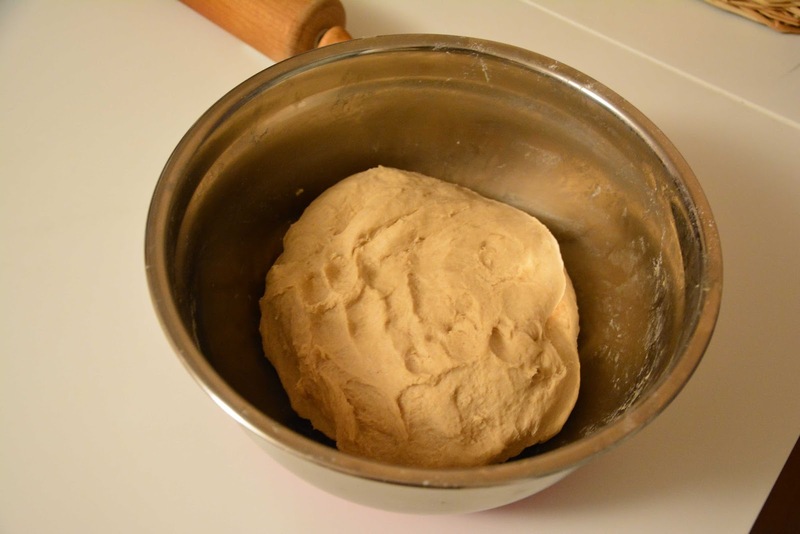 Knead the dough nicely. Now rest the dough for 45 minutes. 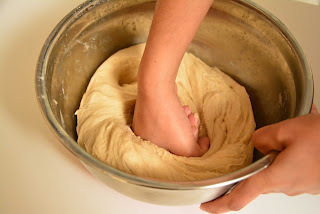 Knead the dough again nicely. 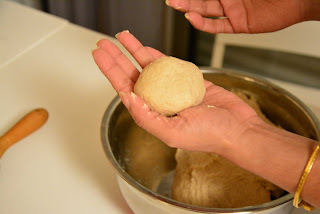 Then divide it into small balls. Coat each ball nicely with oil. Roll it in a circular shape with the help of a rolling pin. 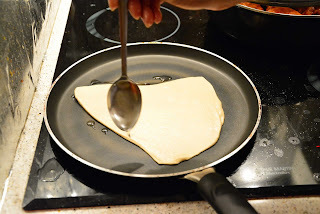 Fold it in half and then again into half so that it looks like a quater of a circle. As the color changes to yellow ochre change the side. Press it lightly. 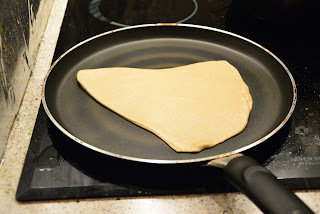 Turn the sides again and keep for 30 seconds. Oh, boy, I love the look of your pan fried flatbread! Perfect side dish for so many entrees!